Choose any Provider with the Freedom Plan! The Freedom Plan option allows a full choice of health care providers without restrictions or penalties. There are no preferred providers or networks required. Members see the provider they choose! 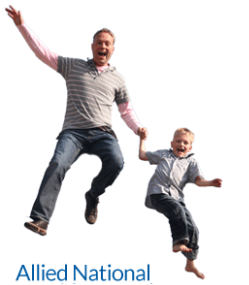 The Freedom Plan benefit option provides traditional major medical coverage. Members are free to go to any provider for services because there is no network. Reimbursement to providers is reference based on a multiple of Medicare reimbursement levels and members are protected from balance billing. The only out-of-pocket expenses are normal deductibles and coinsurance! 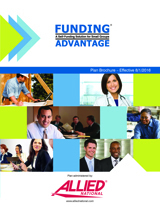 The Freedom Plan is an option under our Funding Advantage Plan. 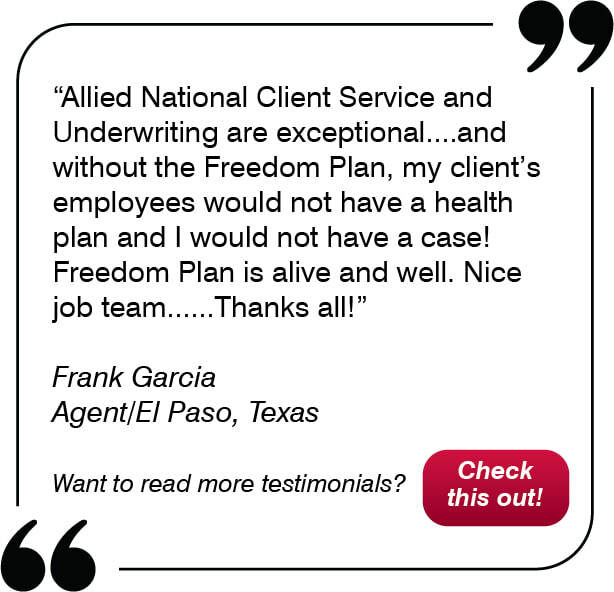 Allied's Freedom Plan is available in AL, AZ, CA, GA, IA, ID, IL, IN, KS, MO, NE, NM, NV, OH, OK, SC, TN, TX, VA, and WY. The plan also is approved for sale in other states. Please contact Allied Sales Support for quotes in states not listed above. > Find out about our carriers. Get a list of the covered preventive services under the ACA.